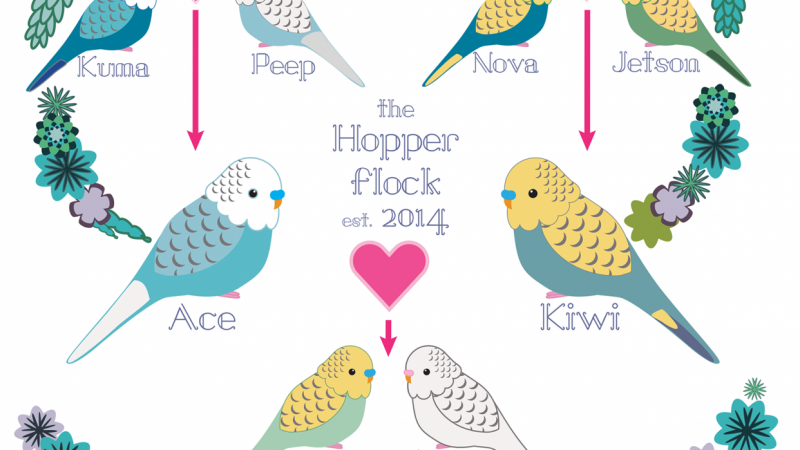 Our pet budgies are the best part of our family so for my family tree project I imagine the parents of Ace and Kiwi. They are both boys, but when Kiwi joined the family in 2014 it was love at first sight with Ace so I imagine a future where they adopt Aurora and Zoom. And here is the final illustration. For my 'flowers' I decided to go with a succulent style.